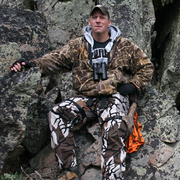 As a qualifier for what is to follow, this is an account of my first elk/mule deer hunt and some of the observations may seem elementary to some of the grizzled veterans out there. That said, the purpose in writing this is to share what, for me at least, was a unique and memorable experience. In so doing, I hope even the most experienced of you find something worthwhile to glean from this hunt. 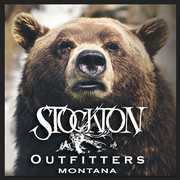 I'll begin with the outfitter, Stockton Oufitters out of Butte, Mt. 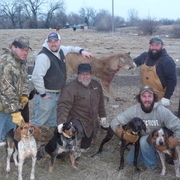 There wouldn't have been a hunt to write about without the flexibility of Mark Shutey, owner/proprietor. My original bow hunt in September had to be canceled due to a back surgery and Mark brought some assets together to enable me to join his last November rifle group even though he had been booked up for some time. So, my thanks to Stockton start there. Great Story- well written. 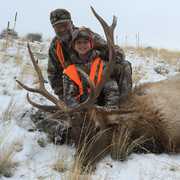 Sounds like a Great Outfitter with some fantastic, hard working guides! Really liked the story. Congratulations. Those guys are tough.....I've been there. Awesome. Great commitment . Congrats. Another great story! Thanks for sharing!